The big Apple product debut event in San Francisco revealed a number of details about the new iPhone 7, set to be released later this month, and there's an interesting new change to the available colors and designs. So maybe you're wondering: How is the black iPhone different from space gray? There are actually two different shades of black for the new iPhone. 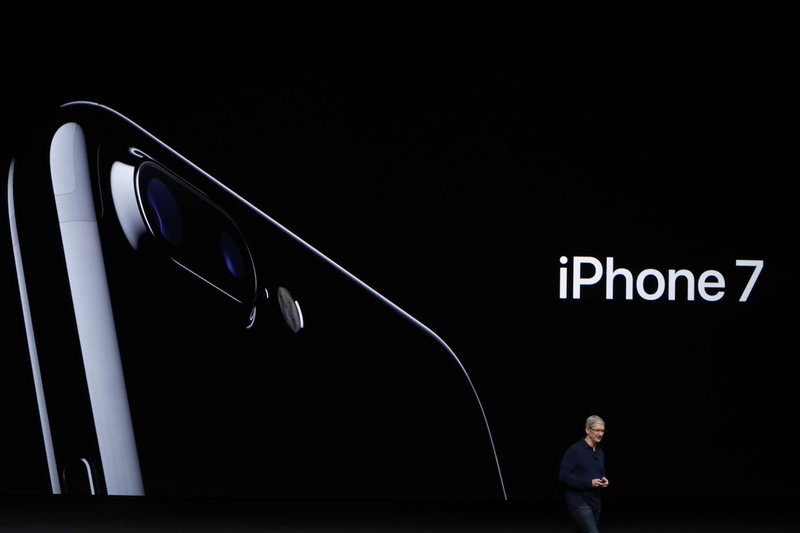 The normal version, titled simply "black," and the new high-gloss offering labeled as "jet black." The jet black model will boast a different logo, and a deeper, darker shade of black than the normal model ― some people have been referring to it as "space black," evoking the old "space gray" color that's being phased out for this generation of smartphones. The normal black iPhone 7 model, on the other hand, will have a matte finish, rather than the glossy jet black option. Which one you prefer is entirely a matter of personal opinion, but there's no doubt that the jet black one looks pretty cool. Take a look at this image ― you could get lost in that void, huh? The old, now-retired space gray iPhone color, just like the simple black model that'll now be gracing the iPhone 7 line, was a matte finish, and you'll still be able to get that coarser, non-gloss look ― it'll just be in black this time. All in all, the switch seems to show a dedication to darker, sleeker design decisions, amid many other notable changes to streamline and shrink the product. It's also thinner than previous versions, doing away with the traditional headphone jack entirely, and features dual cameras to enhance zooming. The new jet black iPhone 7 will only be available in the middle and high-level storage space models, so you'll be looking at either a 128 gigabyte phone, or a 256 gigabyte one. If your interest is piqued by these new color options ― although not everybody is going to be thrilled with all the changes, needless to say ― then you'll be pleased to learn that you don't have much longer to wait. The new iPhones are scheduled for release on September 16, with preorders starting on September 9.